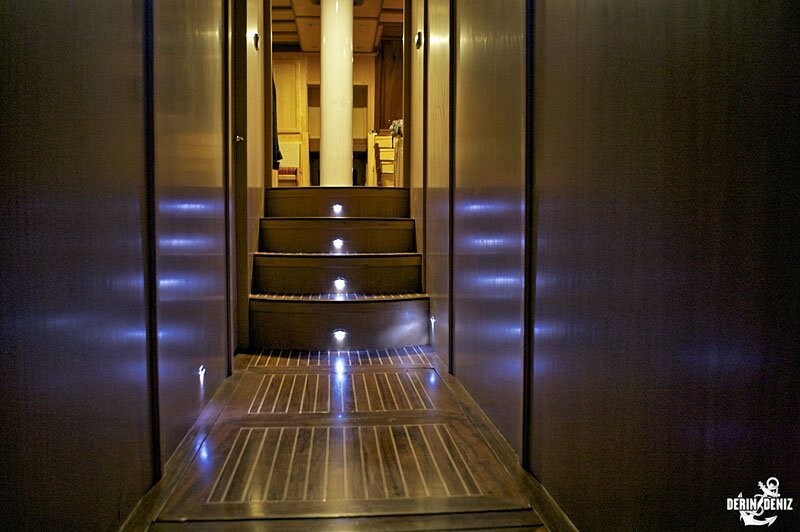 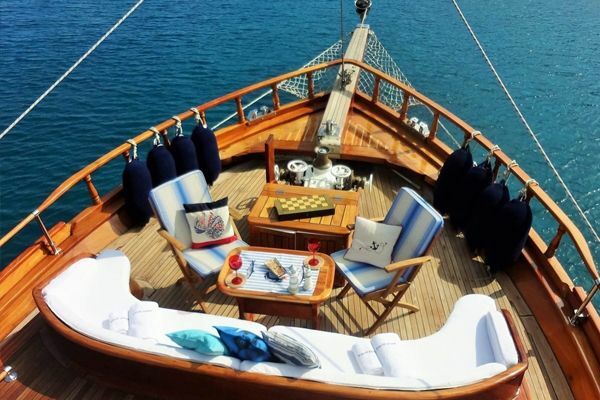 Gulet Derin Deniz, 27m 6 cabins luxury gulet in Turkey & Greek Islands. 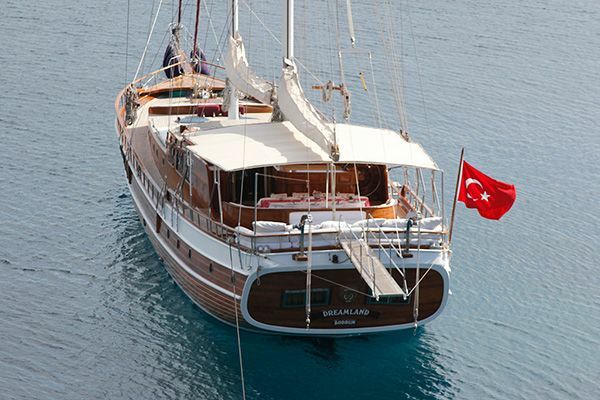 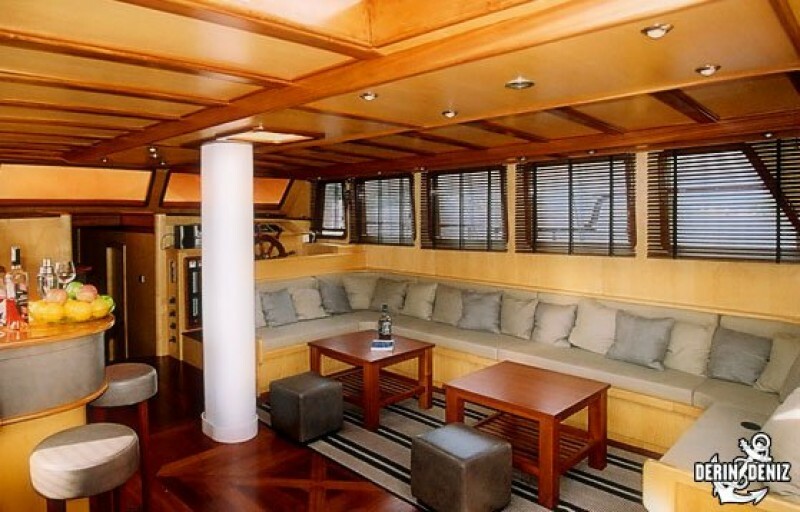 The Deluxe gulet Derin Deniz carries all the elegance and fine lines of the best ketch gulets in her 27 meter length. 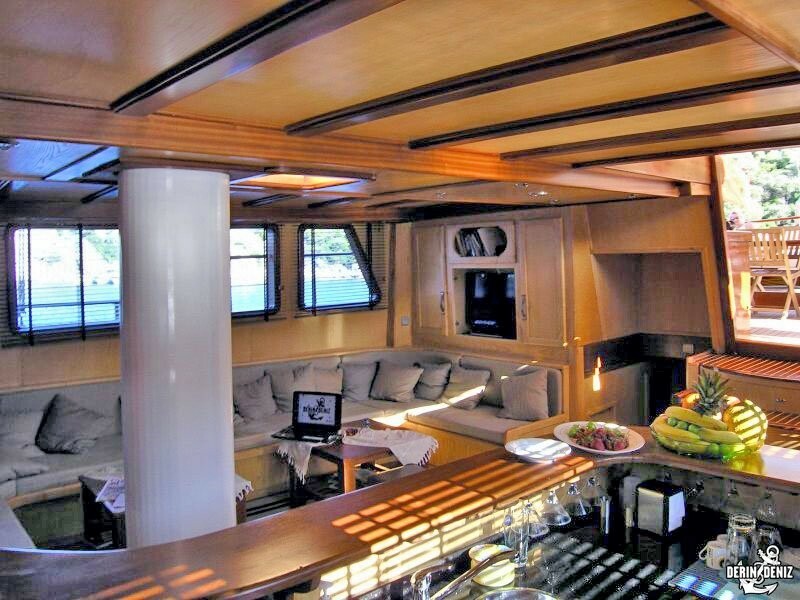 With all the typical features of gulets – the wide decks, sunbeds, banks of cushions in the shade, outdoor dining table and comfortable salon, the 6 cabin gulet is set apart by the pristine condition she is maintained in. 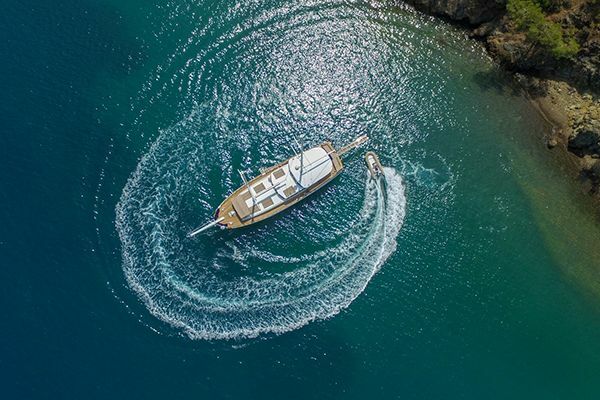 The stylish Swiss touch to the décor gives the gulet a unique personality, particularly to the six cabins and the well-appointed bathrooms. 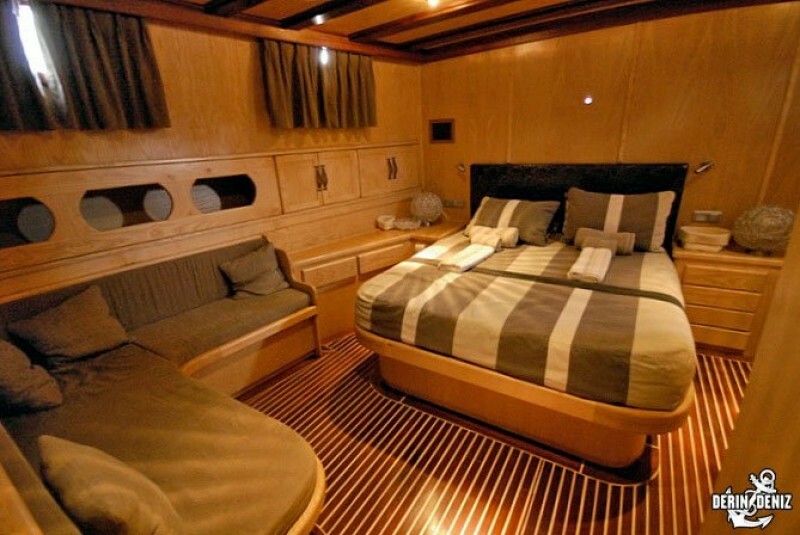 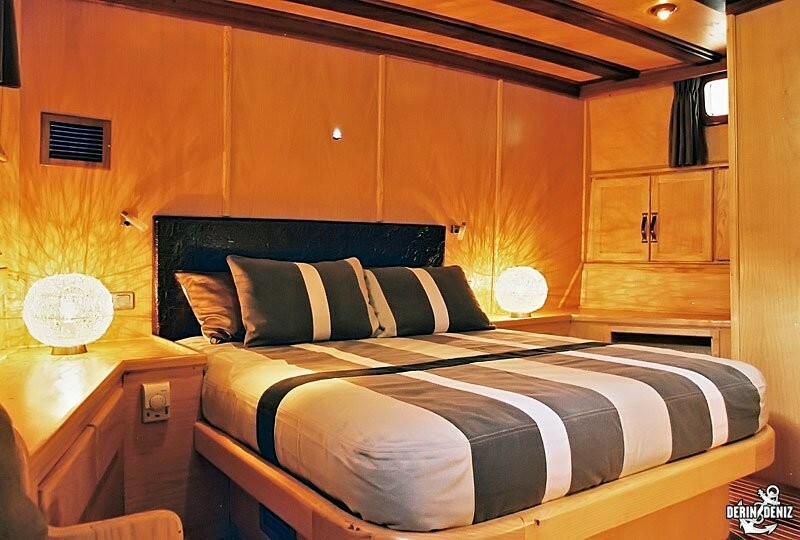 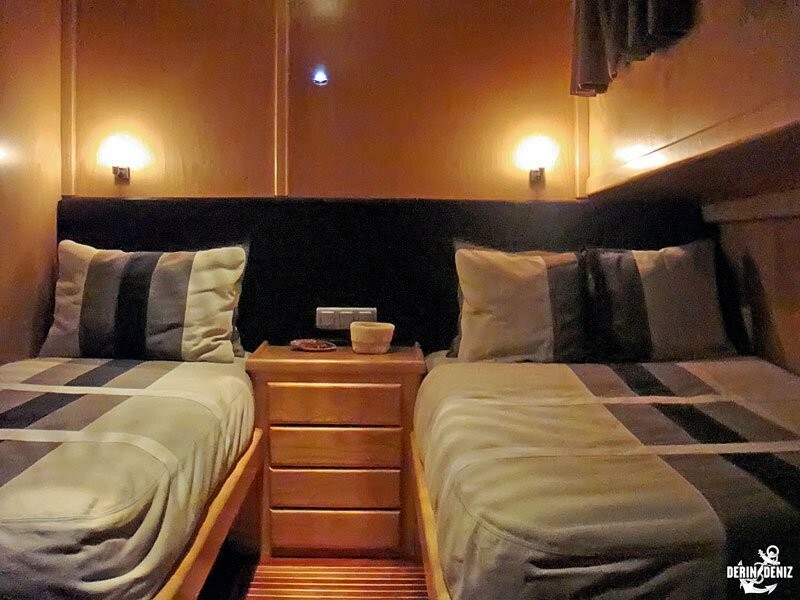 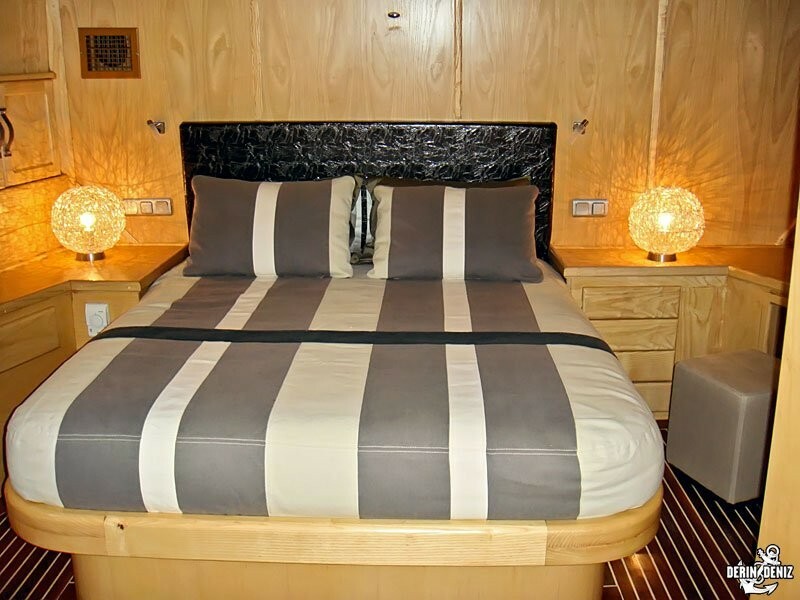 The two master cabins with king size and queen size beds fore and aft are luxuriously comfortable. 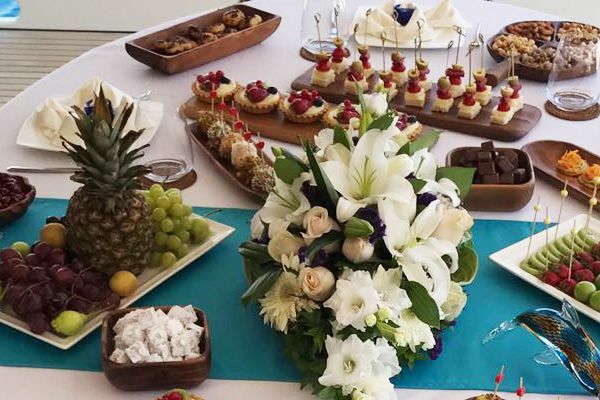 Most importantly the professional and experienced captain sees that his chef and crew make every effort to meet all the expectations of the guests with superb food, and fine service. 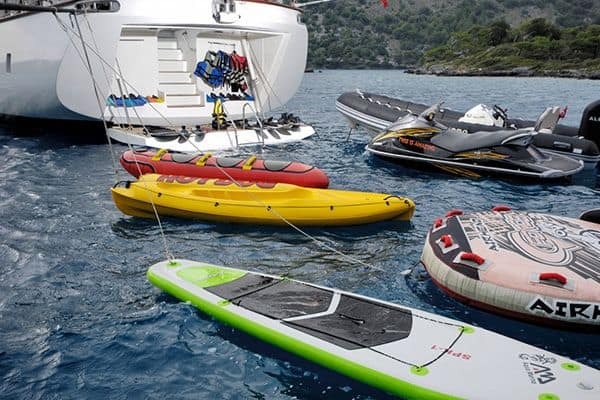 Exploring the coasts of Turkey, by motor or sail, or cruising into the Greek Islands, are a part of the carefree joys of a gulet holiday aboard the Derin Deniz.